Richard Howe is a 25 year marketing, operating and M&A executive who has identified, defined and implemented numerous breakthrough uses of information with applications in marketing, risk and fraud delivered both online and off. He has been a C-level executive and board member in companies ranging in size from start-up through billions in revenue across 3 continents. Rich is currently Chairman / CEO of the profitable $70M annual public Internet marketing technology innovator, Inuvo, Inc. (INUV). The Company had lost $35M in the quarter before he joined in 2009. 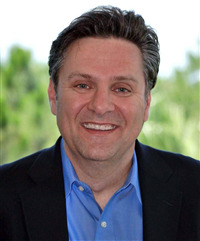 Previously, Richard was Chief Marketing and M&A Officer at public billion dollar marketing services leader, the Acxiom Corporation (ACXM) where he led the companies transition into big data consulting and digital marketing services successfully growing his business units through $300 million in annual revenue. Prior to Acxiom, Rich was General Manager of the $110M annual revenue marketing services division of public analytics & software powerhouse, Fair Isaac Corporation (FIC) where he led the transition to online services. Before joining Fair Isaac, Rich founded and was the CEO of private internet search pioneer, ieWild Inc., which he sold to HNC Software, a public company (HNC) innovator of fraud technology and software where he had worked in both sales and product leadership capacities. Rich has been involved in more than 10 M&A transactions totaling many hundreds of millions of dollars. The transactions have involved websites, marketing agencies, consulting firms, digital marketing companies and other online and offline information technology businesses. Additionally, he has successfully undertaken the turnaround of 3 business units or companies. Rich graduated first in his class with a Bachelor’s degree in engineering along with a Master’s degree from McGill University, Canada. Rich is a patented inventor and has sat on the boards of a number of public and private companies and non-profit organizations. Rich’s vision for Inuvo includes the development and distribution of proprietary content, monetized through advertising, across Company owned websites and mobile applications accessible via desktop, mobile and tablet. Additionally, his vision includes the distribution, to website publishers and mobile application developers, of proprietary ad units, technologically engineered to adapt based on the characteristics of content and visitor.